My current PC is on it's last legs, I'm trying to earn enough to build this. One of those days that I'm trying to get the last 6 months worth of commissions uploaded and doing some more prep on my website and catching up on homelife :) I just posted one of my most recent pieces a Christmas present if you will for Githur. 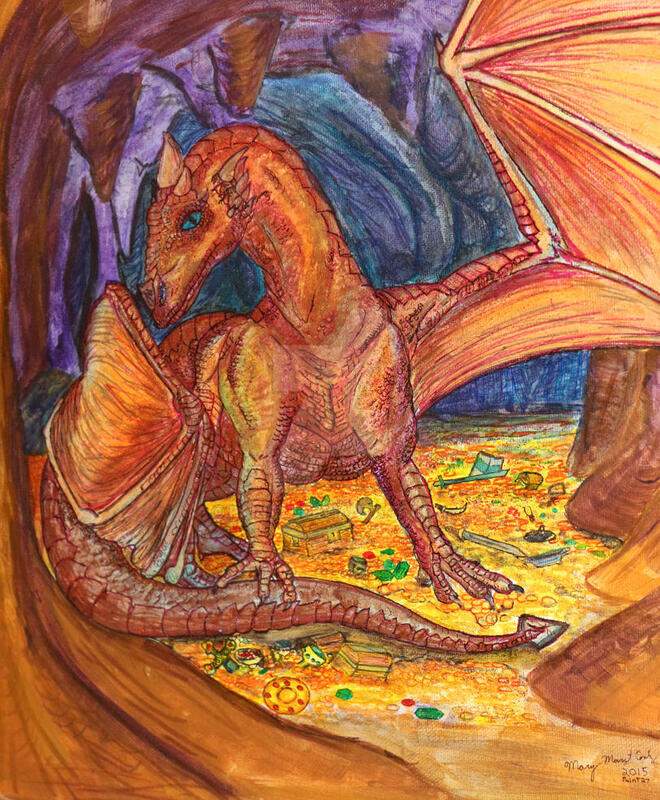 Githur's Copper Dragon :) I'm only posting Githur's dragon pictures because He has already seen it. In other news I've been working with this same client for a while and I love her. She makes and sells hand blended teas so a lot of our projects are commercial in nature, I have done lot of her labels and marketing materials for both t her products and her website. This time of year we get a little busy getting ready for the Holidays. and of course on top of that . I have other clients projects and my own stuff I'm working on.. Those of you who follow me know I like to do all kinds of things. I can't wait to get a few more picture posted in the crafts and fine art sections. I have a bunch of Christmas Ornaments and pet memorial Balls done that need to go up. A few I'll have to save until after the holiday since they are surprises. stay tuned . I'm also going to be working on some website updates , I'm going to be trying to get more link backs to my deviant art account. See if there are any embeddable galleries and such . Still looking for a decent image management tie in for Joomla. I have some crafty stuff up and please check out my work. I am Offically now the Media Art Director for Hackers For Charity, It's a group I've been working with for several years, My responsibilities havn't changed too much but I have an offical title now . In other news I just finished my EMT (medical) classes and passed the state practical exams in Indiana. We have to wait a month for the state to finish the paperwork before I can take the written test . But once that's approved I'm, considering , just taking the NEMT test and have it reciprocated . That would place me on the national register . In farm news I believe we have a goat and sheep bred for spring babies. There are currently, 25 Chickens on the farm, 9 left for a clutch one of my Barred rocks hatched off, and 10 new Pullets from the hatchery. This week we will be finishing building a proper Coop for them for the winter. I'm getting the garden pre-setup for next year I'm using leaves , and manure for compost, and I'm filling the raised permanent beds, then covering them with clear plastic to hopefully retain moisture and keep it warmer so the worms will digest it into soil. Frost by paint27 The last projects are winterizing the goat sheds, and the basement. Yeah I know, I'd be awesome on your zombie apocalypse team. :) Leave a comment , I love to hear from you! !